If you have friends and family who. . .
admire what is noble, refined and sublime. 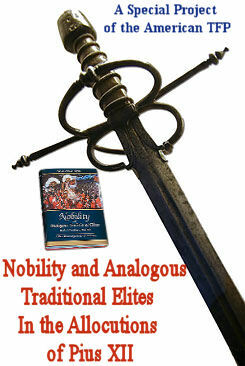 . .
. . .then the book Nobility and Analogous Traditional Elites may be the ideal Christmas gift for them. 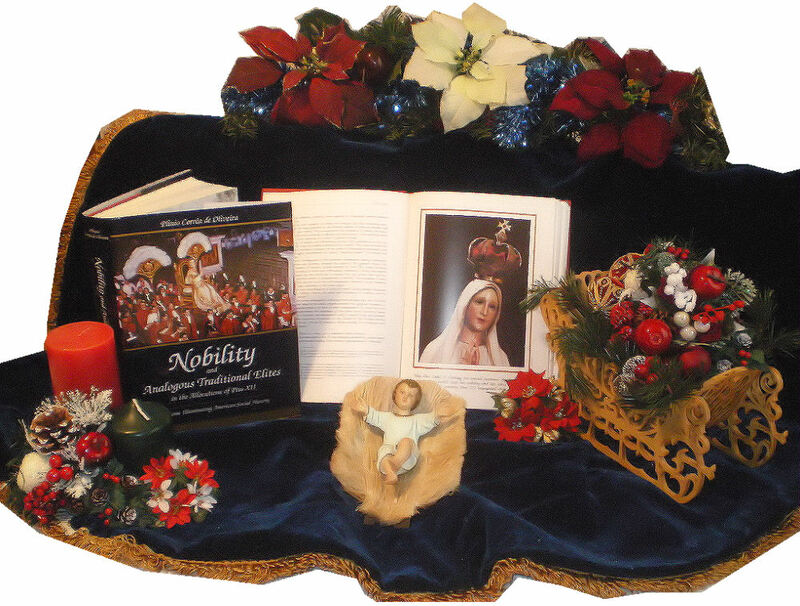 And if you type in your special promotion coupon code—the word CHRISTMAS—you qualify for a once-a-year $10 discount for each book and FREE shipping. 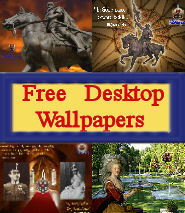 This special promotion is valid through December 8, 2011, feast of the Immaculate Conception. 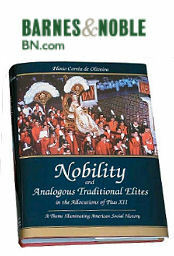 CLICK HERE to order copies of the Nobility Book. 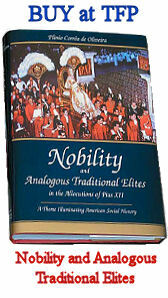 Nobility and Analogous Traditional Elites is deeply spiritual because it is based on Papal teachings. It is also eminently temporal because it explains what leadership really is. As society becomes increasingly populist, socialistic and chaotic, the teachings in Nobility and Analogous Traditional Elites become increasingly timely. 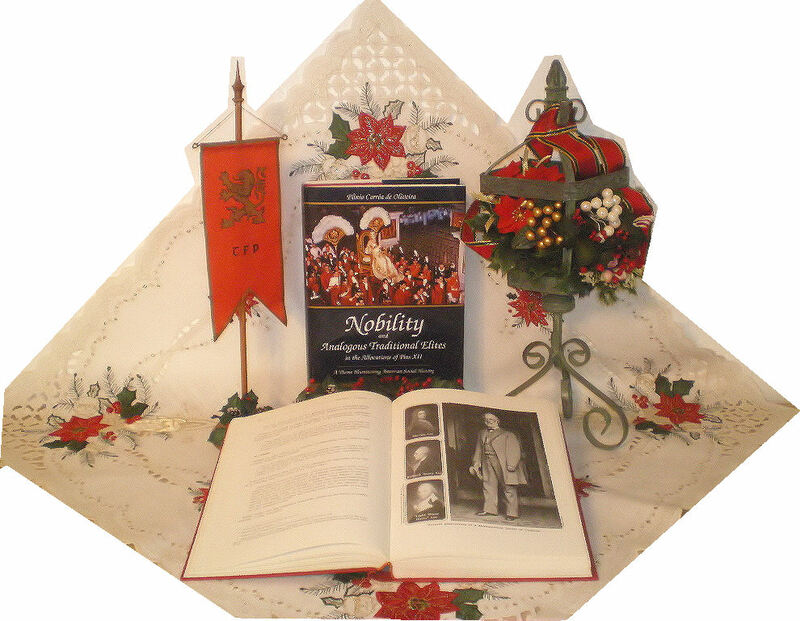 Consider giving the gift of Nobility this Christmas. 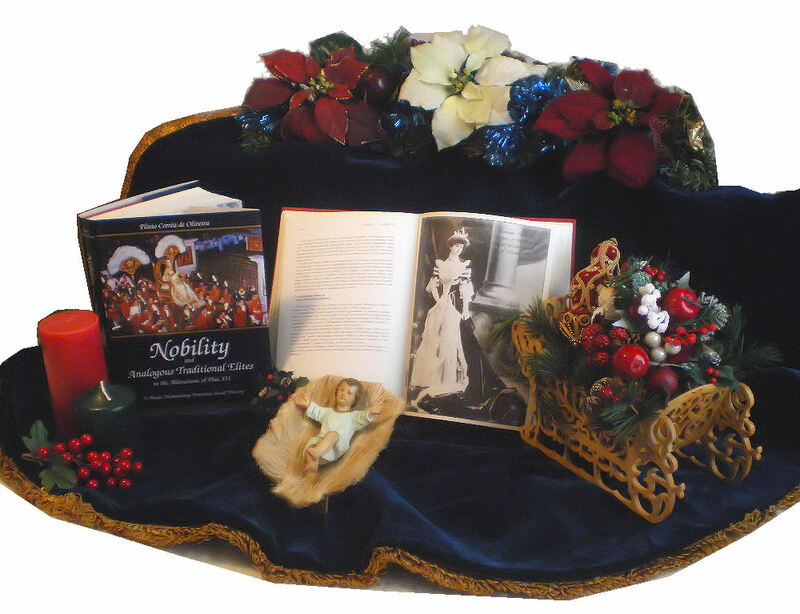 …and qualify for a special once-a-year $10 discount off the normal retail price for every copy of Nobility you order as well as FREE shipping. Step-by-step instructions are below. Shipping times will vary based on your shipping address. Please allow 5 to 10 business days for USPS delivery by media mail.